Eight Metre "VERANO II" (Snarken) - Nicolai Andresen jr.
Nicolai Andresen jr. was born Nov. 29th 1889 in Kristiania (Oslo). His father was industrialist Nicolai Andresen (1853 - 1923) and mother Johanne Marie Heyerdahl (1855 - 1928). Nicolai grew up in Oslo. He went to school at Hartmanns pensjonatskole, Hvalstad, Asker and studied in Leipzig before he graduated from Hortens Tekniske skole 1909. He performed studies in London and Paris. During WWI he worked in St. Petersburg (1915 - 1918). From 1919 to 1934 he was employed by J.L.Tiedemanns Tobacco Co, Oslo before he established his own business in Belgium. During WWII he moved to New York where he acted as agent for his former employer Tiedemanns. For the rest of his life he lived in New York until his death on Jan. 26th 1963. During summer holidays he visited Norway and stayed at Carlton Hotel in Oslo, before he in his older days acquired a flat in Fr. Stangs gt. Nicolai Andresen was not married and had no children. He was the younger brother of Johan Henrik Andresen (1988 - 1953) who was a well reputated Norwegian industrialist and politician representing the conservative party (Hoyre) in Parliament 1928 -1933. KNS register has listed Nicolai Andresen. Oslo, as member since 1921. All yachts except 8N2 "Sildra" and 818 "Top II" (ex "Brand VI") are converted or modified S-yachts. 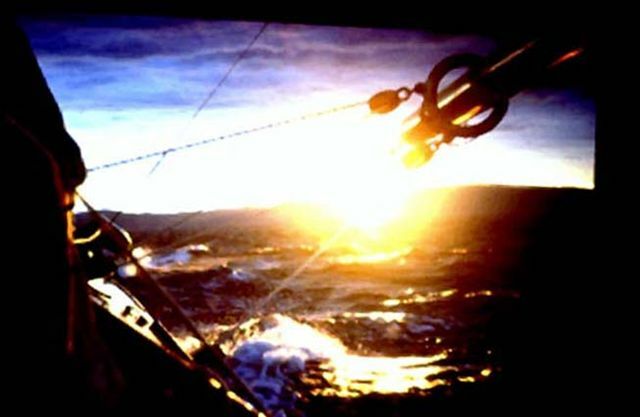 Eight Metre "Siva" ex "Verano II", sail racing no 8 N11, owner Nicolai Andresen jr., Kristiania (Oslo). Class 2; Yachts in accordance with the Scandinavian S-rule of 1917 are listed the none converted S-yachts. Among the 8mS are "Anchen" (ex Avance II) sail no sH36, owner Olaf Engelhardsen, Oslo design H.I.Svenningsen, Sigurd Lie constructed Sarpsborg 1919. Comment: This is the last 8mS designed and constructed. No prior owner of this yacht is found. It is likely that Olaf Engelhardsen is the first owner and that he got the sail no sH36 after Arne Blakstad who earlier in 1919 cancelled his contract with Anker & Jensen for yard no 223. 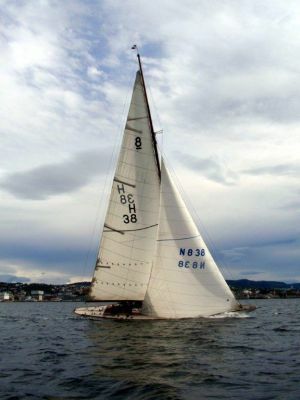 As such the name "Avance II" reflects the name Arne Blakstad registered with SSF (Scandinavian Sailing Federation) for Anker & Jensen yard no 223, which was modified to the new R-rule by her new owner in 1920, Eilert Sundt, and given the name "Verano II" with sail no 8 N11. 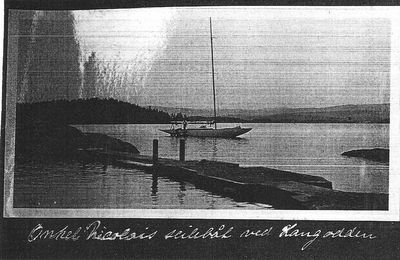 KNS yachting magazine "Seilas" reports on May 10th 1922 that "Siva" 8mR is sold by Nicolai Andresen jr. Kristiania (Oslo) to Dagfinn Paust, Kristiania and named "Danseuse".